Directions to the park/school and map of the course. Results of each meet to be posted when they become available here. Find the rules that govern VCSXC as well as meet rules. 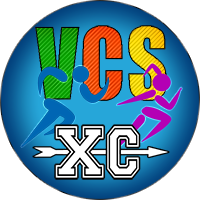 This is the website for the Ventura Schools Cross Country League. You will find the most accurate and up to date information about directions to meets, meet schedules and meet results. Specific information about your school/team and practices are not provided here. You will need to contact your schools coaching staff for that information. Below are the participating schools/teams in the league – if available, on the Team pages will be a link to your team site. Are you race ready? Visit the FORMS page to make sure! Want news and other info delivered to your inbox? Just add your email address and any news updates posted here will be sent to your email!